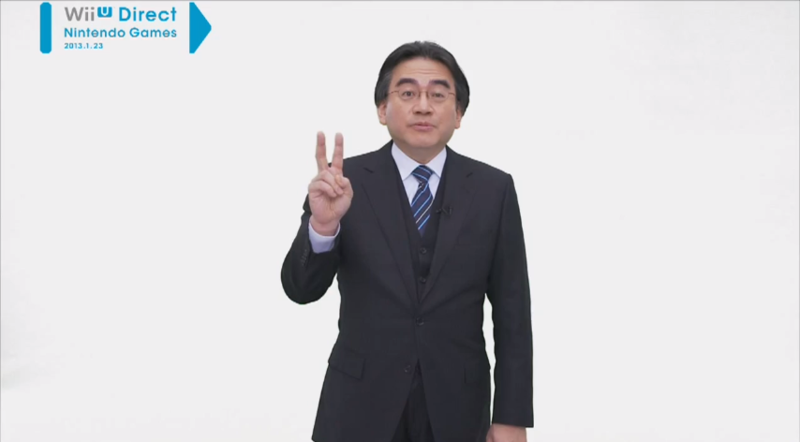 These Nintendo Direct videos seem to be coming around about once a month, and January wouldn’t be complete without Iwata telling us about some games we have already heard of. But wait! This time there is new information about new games, Miiverse, and the Wii U in general! Crazy! Special Miiverse users will be able to embed videos in the chat streams. Two system updates coming for spring and summer. They will hopefully speed up launching games and returning to the menu. Wii U Virtual Console coming in the spring. You’ll be able to play Virtual Console titles on the GamePad. 30th Anniversary Trial Campaign announced: certain games will be available for purchase each month through July when the original Famicom was released 30 years ago. Wii Fit U will introduce Closed Communities so you can discuss your exercises and progress with only certain people. Miiverse will be coming to smartphones as an app sometime whenever. Pikmin 3 will allow you to post images from the game taken with the GamePad. The images will be from the perspective of the Pikmin. No Nintendo titles will launch for the Wii U in January or February. This game is looking sharper and sharper. At E3, we saw how the game would be crazy. Now it looks pretty refined. Iwata did mention that Smash Brothers for the Wii U is definitely still in development, but we will have to wait until E3 before we get any information. Boo! The same goes for a new 3D Mario title for the Wii U and the next installment of Mario Kart. These two games, however, will be playable for sure. Sounds like Nintendo will have quite a few games to show at E3 to combat the next generation of consoles from Microsoft and Sony. A new party game is in the works for the Wii U in the vein of Mii Party for the Wii. This time, however, there can be interesting gameplay off the TV with the GamePad. A couple of examples shown where using Wii Remotes and the GamePad to play what looked like Twister with your fingers. Another showed a foosball-esque game played just on the GamePad between two players with each player holding one end of the controller. A baseball game was shown with a similar style. Iwata’s first mention of a brand new game was that of a new Yoshi title. 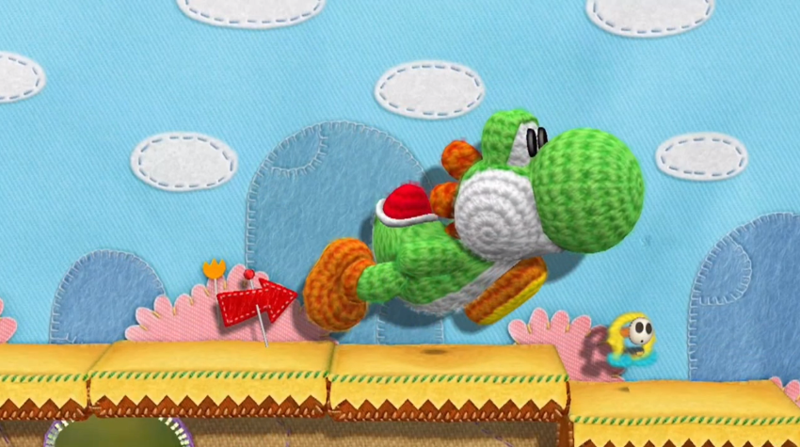 The game is being developed by the same people who made Kirby’s Epic Yarn, and they are basically stealing that look for this Yoshi game. No one is complaining. Another new title (and brief mention of Nintendo’s development direction with the Wii U) was a collaborative game between Nintendo and Atlus, roughly titled Shin-Megami Tensei & Fire Emblem. You can’t have enough Fire Emblem in your life. Just a bit of artwork for this title was shown, no gameplay footage. Iwata mentioned that Nintendo is looking to do many more collaborations with their franchises this time around. With the Wii U, the scale of titles has grown, and collaboration might be the ticket to ease the burden of making huge games with good visuals. I am just spitballing with that, though. Now, to Zelda! Two Zelda titles were announced during this video: a brand new game and an HD remake of tLoZ: Wind Waker. The new title was just briefly discussed by Eiji Aonuma, and it sounds like we won’t hear anything concrete for a long while yet. However, we do know that we might finally see some shake-up in the Zelda formula. They are “rethink[ing] the conventions of Zelda.” The two bullet points they discussed were about how maybe in this installment we won’t have to complete dungeons in a linear order and you won’t necessarily be playing by yourself. Sounds great to me. Change in a Zelda title been a long time coming. To tide us over for this new Zelda, Wind Waker HD will be available. 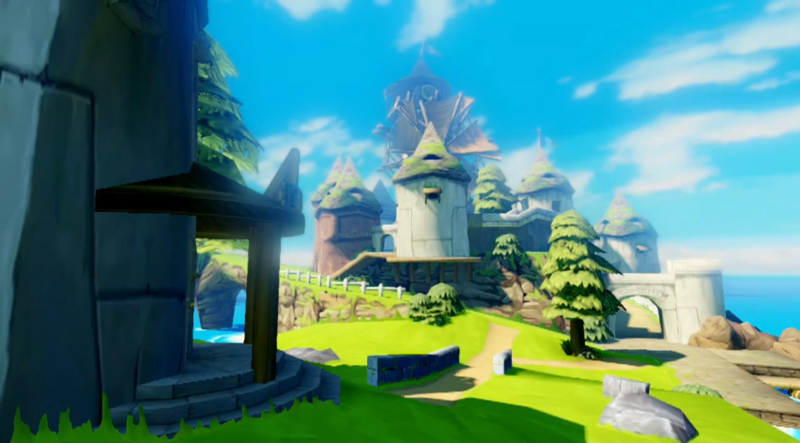 It will have, of course, better visuals to the already beautiful original Wind Waker, and it will have full Miiverse support in addition to streamlined gameplay. They will be showing this game at E3. Let’s hope that this title doesn’t take an internet petition to get released in the U.S.
And that was today’s Nintendo Direct. It’s fun when they have actual surprises!